I am beyond obsessed with these sleeves! Like everyone else right now because that’s how trends work, I guess? But seriously, apart from me almost dipping them in various amounts of food, I’ve decided I want everything to have flared sleeves from now on. 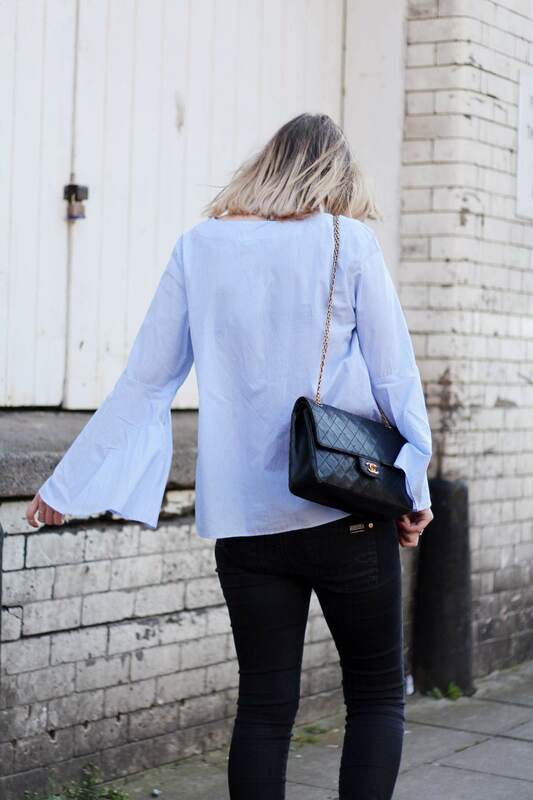 This subtle blue and white stripe is so perfect for Spring too, I’ve already matched with about 10 different outfits that I want to wear – just need Zara to bring it out in different colours and I’ll be sorted for months. Hope you have a lovely Sunday! Oh and don’t forget to enter my big beauty giveaway on my instagram.